The iron on my Stanley No.5 jack plane needed sharpening. I use the traditional sharpening angle of 25 degrees on this iron, and yes, I have used the "15 degree only" angle, back bevels and micro-bevels, but the angles that are recommended in the woodworking books from the turn of the 20th century work best for me. 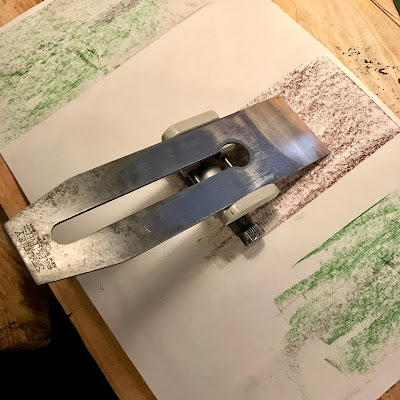 I do "round the corners" on the smoothing planes so the irons don't leave tracks and the jointer plane iron is sharpening straight across, I only use that plane to joint tops and backs. As a classical guitar maker, I have to plane only a little more than one square foot of timber, the top is about one third of a square board foot, the back and sides for equal about two thirds of square foot, I don't have hundreds of board feet to smooth and level for a project. This iron needed only a little work. I start with the fine grit to create a burr, and though I didn't get a photo of it, once I turn the burr I chase it from the back (non-beveled) side of the iron with a small stick of rosewood. I hone and chase the burr until I feel I can go to the extra fine grit stone and then I do the same thing, hone and chase the burr. When there is no burr left, I rub some green honing on a piece of newsprint paper, or typing paper, and gently hone the iron. 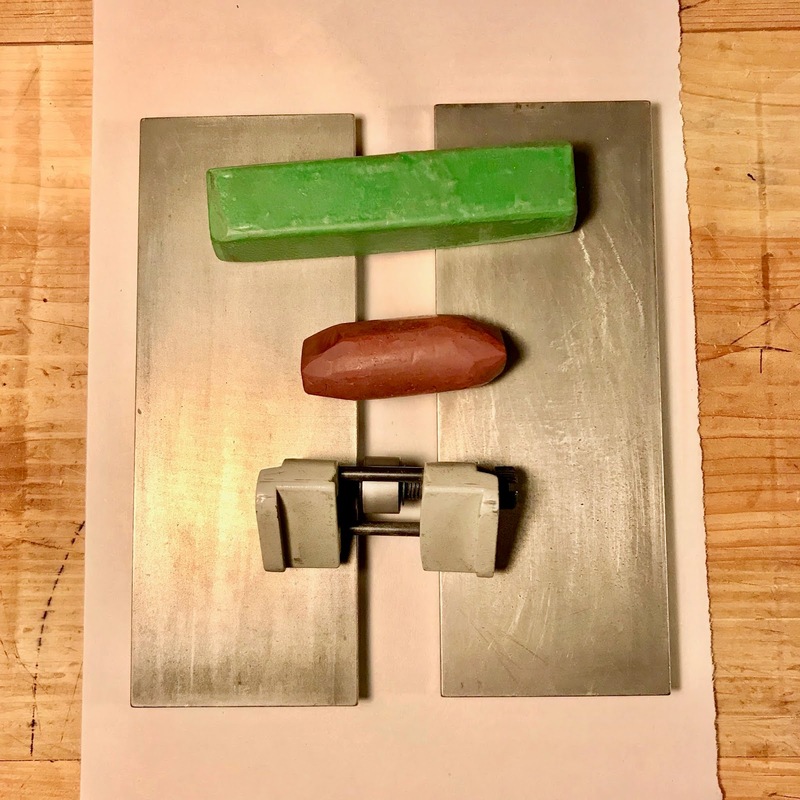 The paper is supported on the sharpening stone. Next step is honing the iron on jewelers rouge. 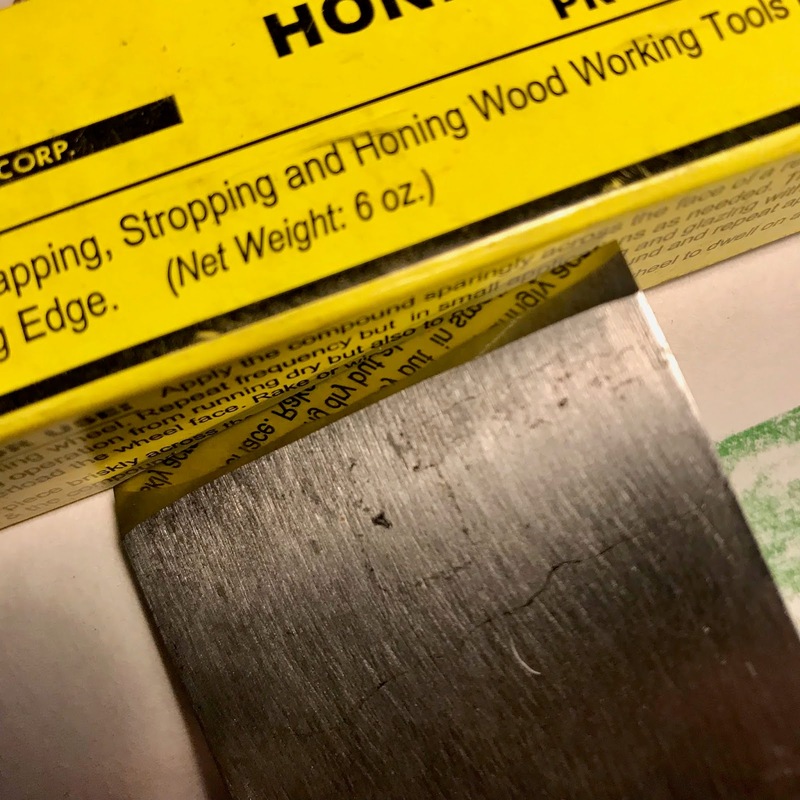 The honing compounds nicely polish the surface and make a very sharp edge. Ready to go! 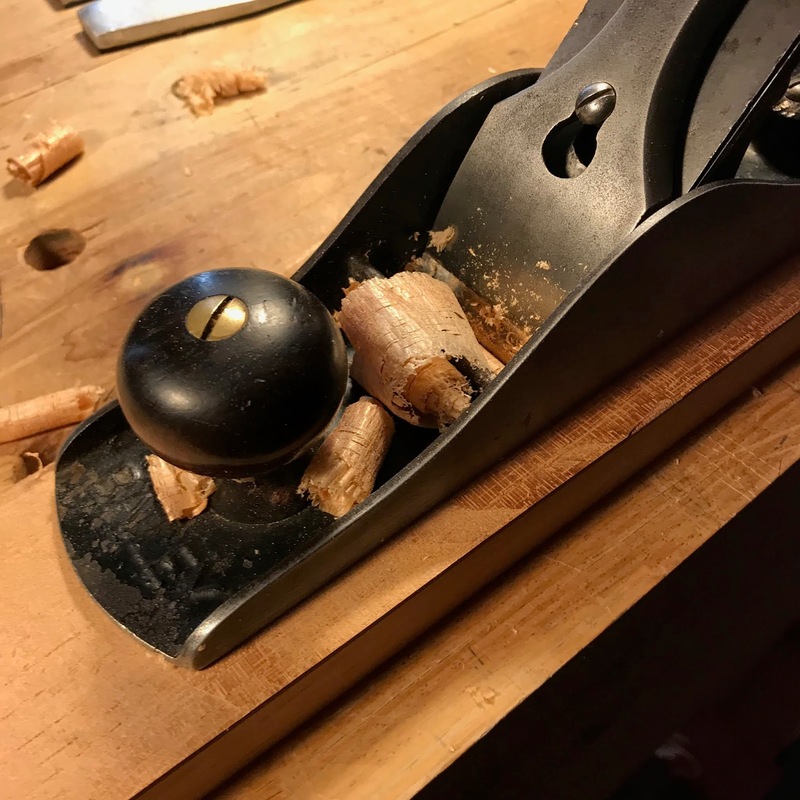 Spanish cedar is so easy to plane! 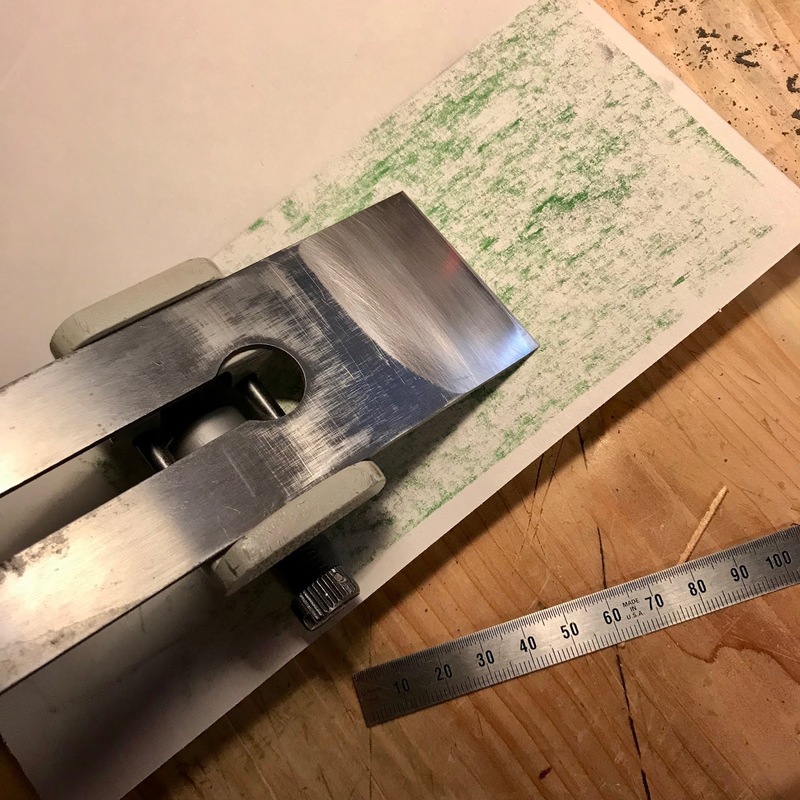 Creating your own sharpening system takes a little experimentation and maybe more than a little money, but it is something that you need to find on your own. 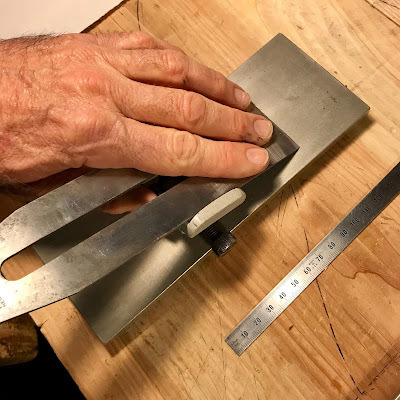 There are many, many articles and loads of advice on how to sharpen your tools, it is just of matter of sifting through the information and finding what works best for you.